We do have it good – mild if changeable weather, potable water, no Ebola and we’re not being shelled. In cycling metrics there’s good coffee, boutique beer, high beard density and agreeable topography, offset somewhat by markers of our auto-centric heart – $1.5 billion in unpaid car-related fines. Who’s the scofflaw now? When I needed to research street art recently I turned to a local cycling forum for eyes and ears on the street. We soon had a trove of sites and a ride to view them one Sunday morning. It was the loveliest of rides, navigating on the fly via everyone’s favourite works, in awe of this town’s artistic talent and humour. Some were tagged but most of the larger works endure, while a few alleys had changed quite quickly. Even this most public gallery space is limited. 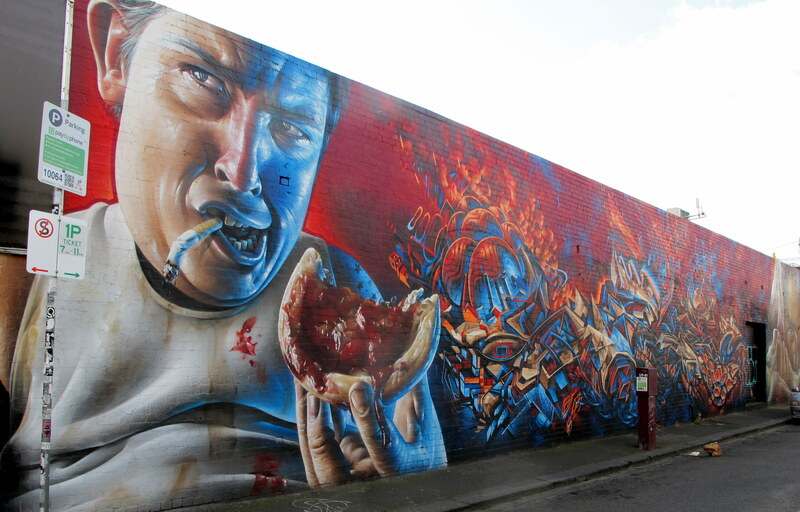 But the most memorable image isn’t here – the bemused smile of a man on a mattress as a few cyclists enjoyed the art on his alley walls. Liveability yes, but let’s hope the pollies care about his liveability next month too. If you’d like to re-trace our route, see the .gpx and .tcx files from Stava. 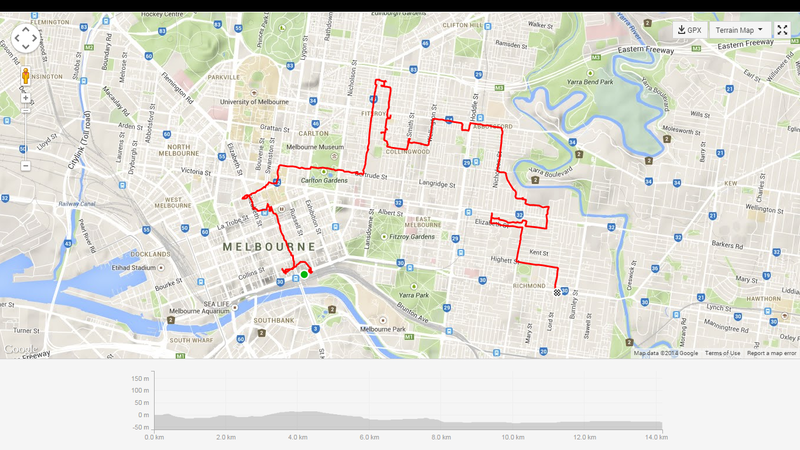 This entry was posted in Cycling, Women's cycling and tagged #MelbourneCycling, #streetart, cycling by quaddess. Bookmark the permalink.